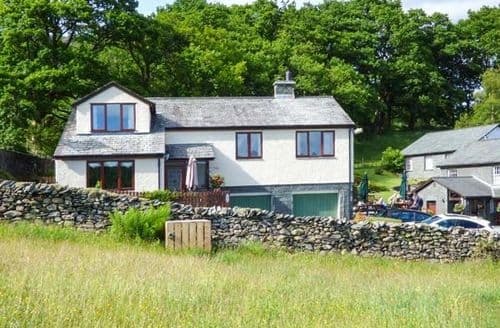 What our customers are saying about our Holiday Cottages In Little Langdale To Rent. "The location of S18514 is fantastic. The owners are very nice friendly and helpful.We feel that S18514 is in need of an update to modern standards. The downstairs of the property is very cold and unheated in the kitchen and bathroom. The bathroom can be heated by an electric fan heater.The lounge has a very old storage heater (Electric) which provides inadequate heat. This is supplemented by a log burner which still is not enough heat up the room. We had to introduce an electric oil heater to actually warm up the room as we were tired of wearing four layers of clothing to keep warm, that did actually work well.There was nowhere to dry clothing if it got wet other than in front of the heating in the lounge which is not ideal.The kitchen cooker is woefully slow and very old.The heating, hot water and all electric is metered through a pound coin slot box system which is not ideal.The upstairs of the property is nice and warm heated by a storage heater that works well.I will add that we stayed at the beginning of February when it was very cold and snowing.We expect that after a full day out up the fells and mountains in the cold and snow to get back to a nice warm cottage where we could snuggle down and cook nice food in nice surroundings.This cottage as it stands did not meet those basic needs. In order to address its problems i would say that it needs money spending on a decent new non coin metered heating system (Electric) or otherwise for all rooms. New kitchen and decent cooker, maybe induction electric. Re-decoration ,flooring etc throughout other than kitchen.If the work was done I would come back and stay at S18514 and would happily rate it with top marks. It would be far better to factor in heating and electric costs with the rental price rather than messing about with pound coins on a very expensive tariff.I am not being totally negative about this property as it does have many good points,but we are comparing it with many other cottages that we have stayed at in the lakes which have all met our basic expectations. 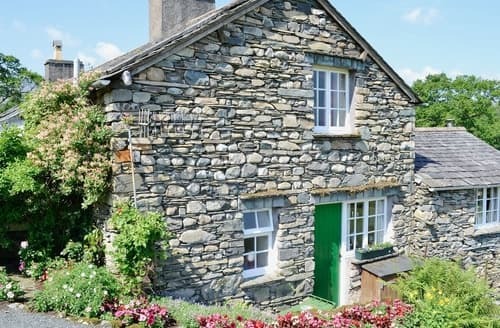 Don't let my comments put anyone off visiting this cottage as its location is glorious." "Its a short drive from Ambleside to get to S18514 and to reach it you have to negotiate a very narrow country lane. Stop next to the gate to unload your luggage and then you can park next to the park entrance a little further on (just past the farmhouse).S18514 is in a superb location on National Trust land and has amazing views from most windows and the kitchen doorway. Its deceptively big as at first the living room / dining area seems a bit small. But the bathroom and upstairs bedroom are quite spacious. It has all the amenities you need including a log fire. 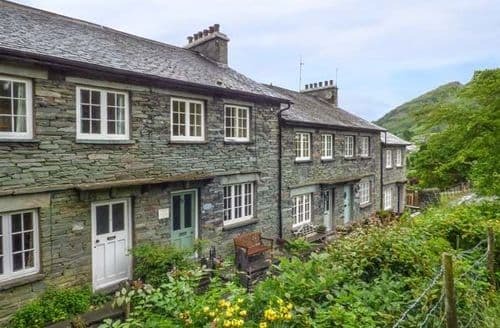 Although it doesn't have a tv or wifi signal which for us was a major plus if you want to get away from it all.The accommodation runs on a meter so be sure to bring a supply of £1 coins and don't bring too many items for the fridge as its a standard size.The surrounding area is very quiet and tranquil. You will only hear the sounds of sheep and birds and nothing else. The only vehicle sound was the tractor or the royal mail van. Its also a great place to start off from for a variety of local walks. The owners are very helpful and can point you in the right direction if you need some guidance. Although we didn't see them after the first day which again adds to the feeling of being completely away from all distractions.All in all an amazing time and and an amazing property. Would highly recommend." 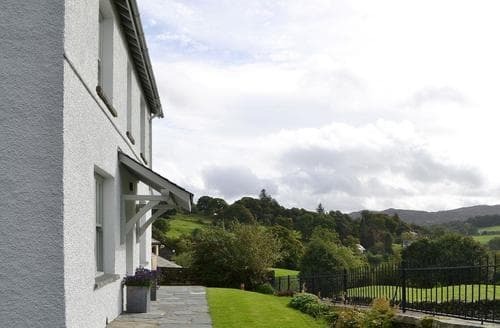 "Beautiful location, superbly equipped with everything you need for relaxing holiday away from the hustle and bustle. The owners really have thought of everything to make your stay enjoyable, and S59727 is very stylish and furnished to a high standard. The beds are supremely comfortable which is great after a long day out walking. If I was being picky, the cleaning between handovers could be improved, but I am slightly ocd where cleanliness is concerned. Great little pub two doors down made evening meals and lunches a convenient treat. The road in to Little Langdale is very narrow in places and difficult if a car is coming the other way. I did experience some rude drivers who were impatient to squeeze past and in one case, I assume a local who was in a particular hurry shouted at me to “go home”. Charming! 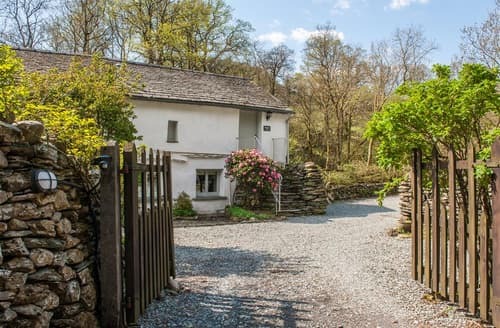 Little Langdale is a beautiful spot and I would highly recommend the walk up Lingmoor Fell behind the house and also a circular walk encompassing Slaters Bridge and the Cathedral Cave. Amazing. Thanks for a lovely holiday!" 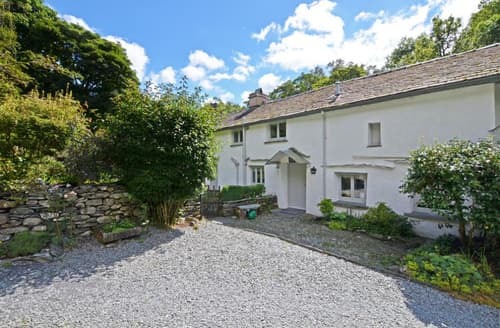 "Overall this was a lovely holiday home which was reasonably well equipped. There were a few bits of chipped or damaged equipment, a deep clean was needed on the Venetian blinds, there was not enough toilet roll or soap for the number of bathrooms and there was no wood available for the burner as stated.We rated the amenities a 6 because there is only a pub nearby, although this was not a problem for us as we came prepared.Some of the information pack needs updating around bin collection days, where the nearest hospital is and where to put your dog poos.The views from the property are stunning and it was fantastic to be able to have our dogs with us on holiday. We would definitely stay at S59727 again." "We stayed here in spring last year and September this year. Unfortunately the weather wasnt great. The cottage is warm and welcoming with everything you need to hand apart from a decent torch. Love walks from the door step and the three shires pub serving tasty food but rather expensive. Short drive into Ambleside for shops and places to eat along with shops to stock up on groceries etc. Very strong winds that caused a power cut whilst we were there. The cottage is all electric so we couldn't even make a cup of tea. Was rectified after a few hrs. Would recommend a stay here."